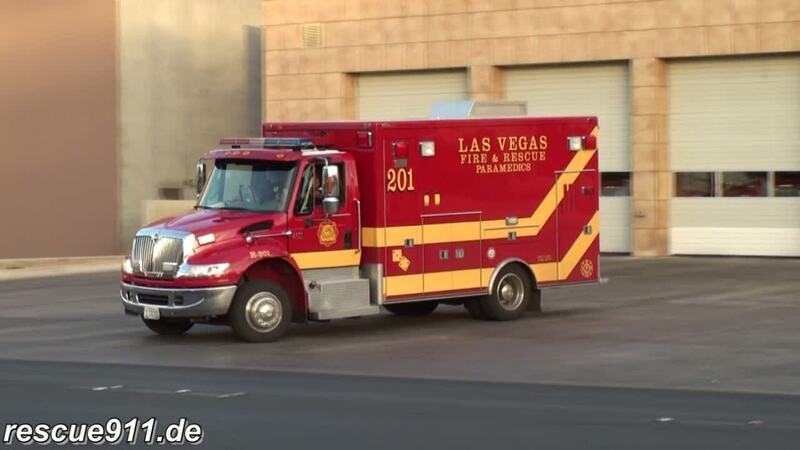 LVFR paramedic ambulance 201 responding out of the headquarters to a medical call. This is one of the busiest EMS units in the city. 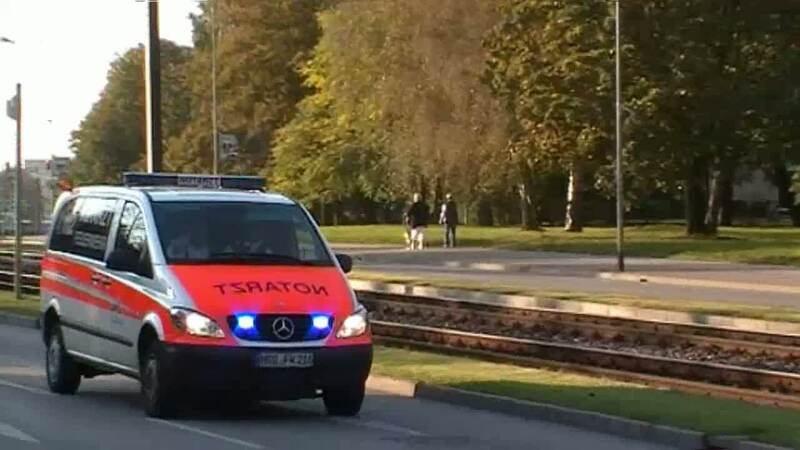 Rettungswagen 201 der Feuerwehr Las Vegas rückt von der Hauptwache aus zu einem Notfall.